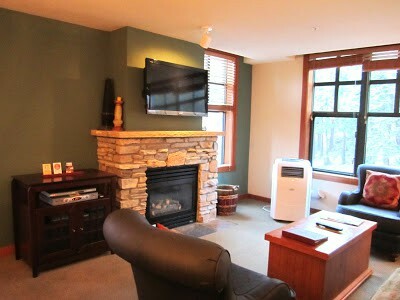 looking for a place to buy in Mammoth, California. Yes, I DETEST the reddish stained wood. Sigh. in the kitchen, especially at night. chest in the guest bedroom. The owner allowed us to give it away. 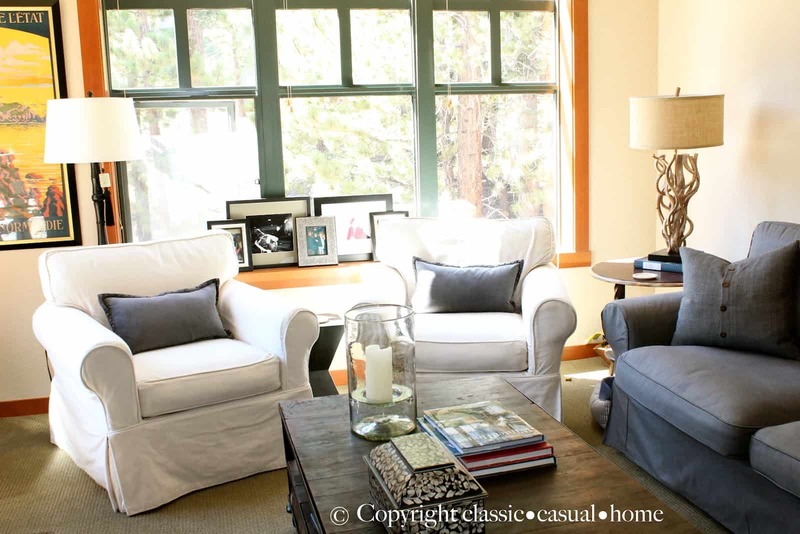 This is “after” we added our slipcovered chairs, lamps and Wisteria industrial coffee table. these were things we already owned. 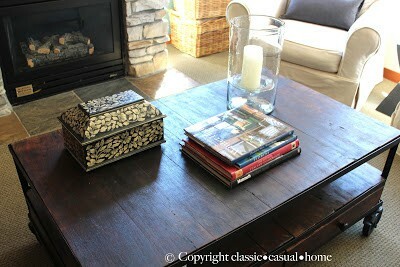 That is an old French travel poster and on the mantel are hurricane candle holders from Target. tie in with the new sofa. This linen pillow is also from West Elm and helps to soften the FIRM sofa bed. At the store, when I tried the mattress out…I thought “not bad” and then I sat on the Ektorp sofa and thought “okay.” BUT stupidly I did not try one with the bed inside (there wasn’t one on the floor that way)! It makes the seat much firmer. Oh well, it’s not that bad. Here I have added a mirror and antique French regional maps. Flowers always help. 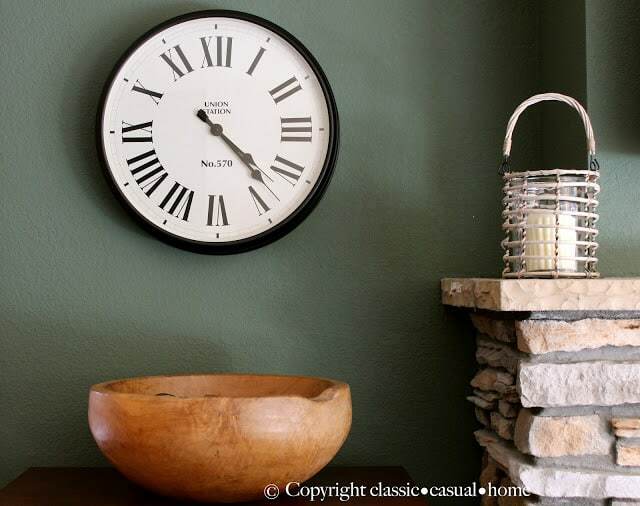 our huge wooden bowl and our oversized Pottery Barn clock. Guess what is in the bowl? invitations to parties we’ve given. Let’s skip the bedrooms and bathrooms…how much red wood and bad furniture can you handle? 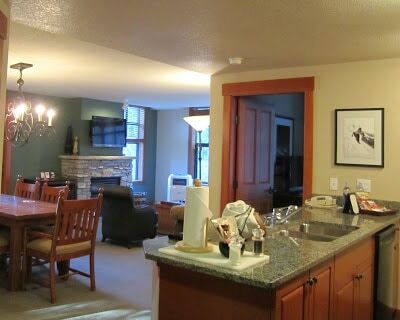 But the good thing is this cosy condo is in the Village surrounded by shops and restaurants. There is a gym, pool, hot tubs and gondola to the slopes. Fun! and wine tasting under the pine trees and stars. (he’s in the flannel shirt). kenny's december album is my favorite one to play during the holidays. magic. Wonderful that you took the time and effort to make the home your own. Moving is difficult. Moving in without your 'stuff' is even harder. The French travel poster is perfect. Love the Target hurricanes and your memory bowl. Kenny Loggins is my era–so I am impressed! Music and wine tasting under the stars, I think I could handle the reddish stained wood! 🙂 Your updates are the perfect fix! Looks like a great "home" to me… great touches! You've definitely improved this place immensely! I can't wait to see your own place, and I appreciate the tip about the Ikea sleepers. I love how you have made this house a home. I am so looking forward to seeing your new home! It's an exciting time for you, I'm sure! How lucky you are to have seen Kenny Loggins! I have been a fan since high school. It doesn't look like he has changed much!! Still handsome! Mary Ann, if anyone can make reddish wood look good it's you!! Enjoy your new (temporary) pad. 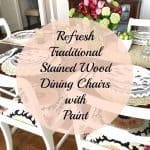 The house looks so much better with your touches, the lifestyle there sounds wonderful! I just liked your FB page, pic of you and Kenny adorable. 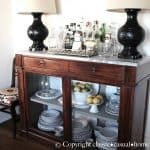 Love the fact you are an Ikea and PB fan and share your finds. 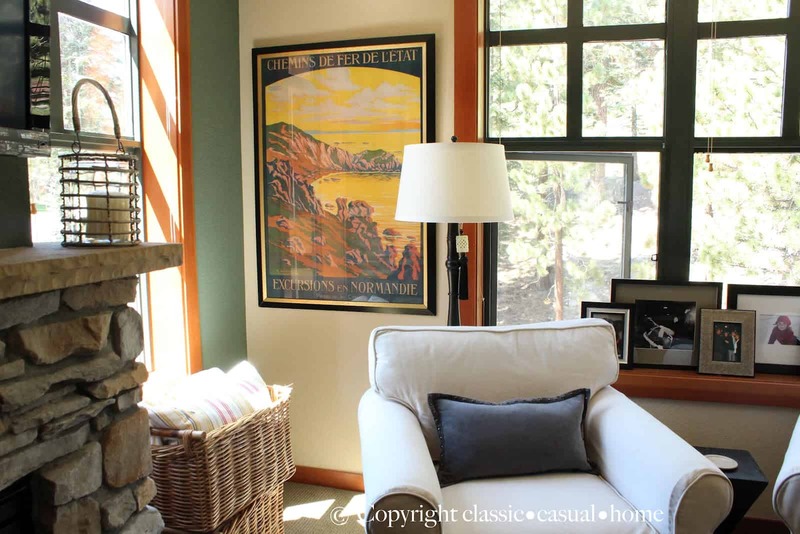 Love the sofa, chairs, baskets, print, bowl, the cool lamp next to the sofa, well it all looks great! I sure like the chairs more than that couch! I think you made the place look great and love that your location is so perfect. 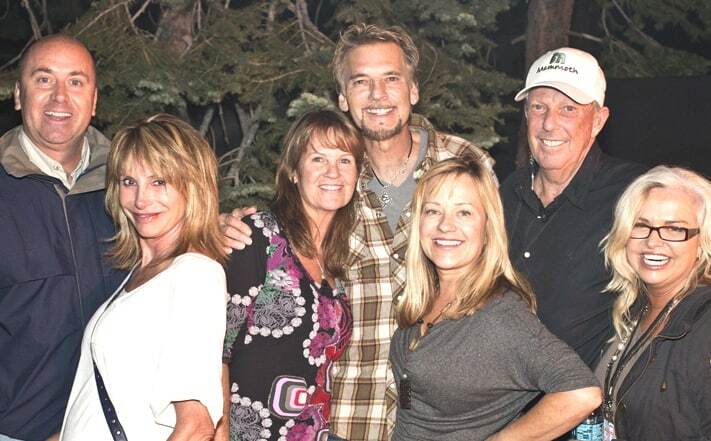 Cute picture of everyone with Kenny Loggins. It's SO much better with your "special" touches, Mary Ann! Very bright and comfy looking. Love your new sofa! I just got new sofas and my hubby thinks they are too hard. I told him….just wait…they will soften up in no time. Great job….and thumbs up on the Kenny Loggins meeting! You can turn a fully furnished rental into a real welcoming and upscale home! I can ignore the red… by looking at all the other great details you added! It is amazing what a fresh perspective — and tons of talent — can do for a home. Congratulations and enjoy. Couldn't agree with you more re. the red stained furniture and/or counters: ugh indeed! Rentals are tricky. Never quite your taste, and yet what can you do? You are lucky you were able to sell, change, move things! Of course, we will all wait patiently to see what you buy!! The mammoth house looks amazing! So do you live there full time and just beach house in summer? Also, I love the photos in the bowl that's a great idea – for some reason I've never thought to do that! The little changes you made look amazing. The new sofa and chairs really up dated the whole thing. Love the lamp next to the sofa. Cute picture on Facebook…. 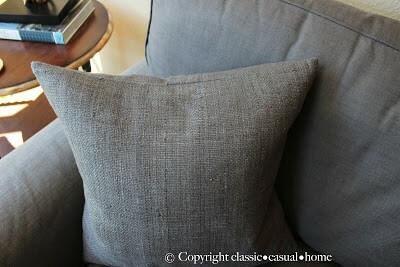 Nicely done, I am a definte fan of slipcovers and have them for our family room. Looks like a wonderful home. I have spent many a ski weekend in mammoth rentals so it is a good thing you got rid of that couch! You have turned an ugly rental into a cute little home…nicely done! 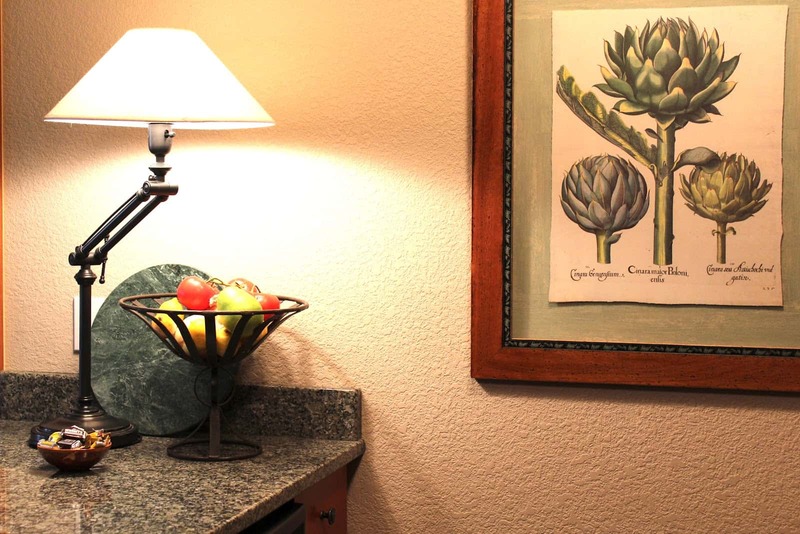 Once you add your personal touches if feels like home! Looks cozy :). We love the mammoth area. Gorgeous country! You should pat yourself on the back. 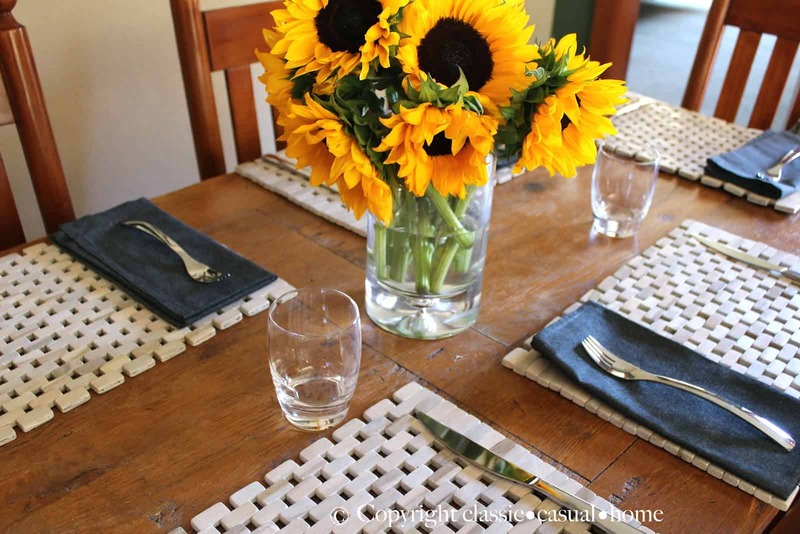 You did a fabulous job making this rental look like a home. I love how your freshen and update this rental home. 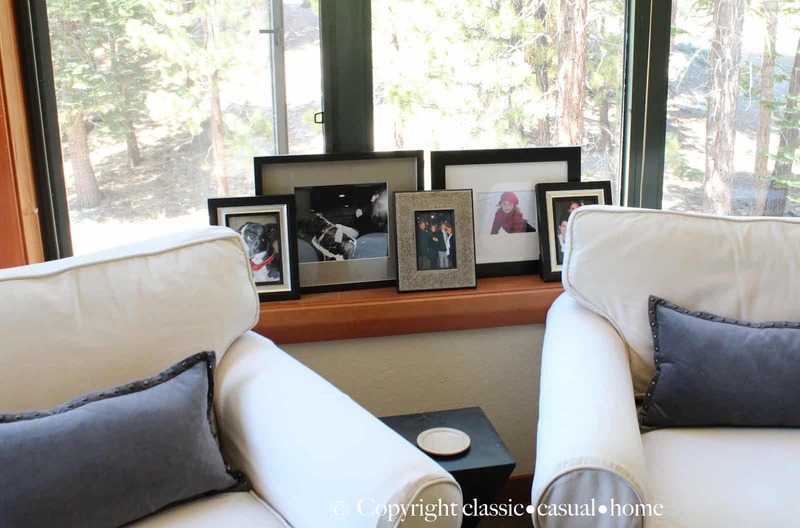 You did a wonderful job making this rental feels cozy and beautiful! 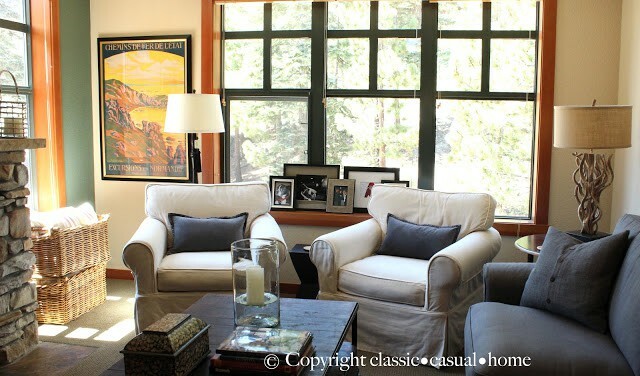 The artwork, clock, new sofa and your white chairs are fabulous additions. P/S: Come by and enter my newest giveaway for a chance to win a copy of "Good Bones, Great Pieces" if you like, Mary Ann. wow – you did a great job and that ikea sofa looks like a million dollars!!!! why not get a tablecloth for the table? skirt it? or make slips for the chairs? it would take the edge of the wood color. i cant believe how much different the living room looks! you did a great job. even if i still have no idea what a mammoth is!!! haha. 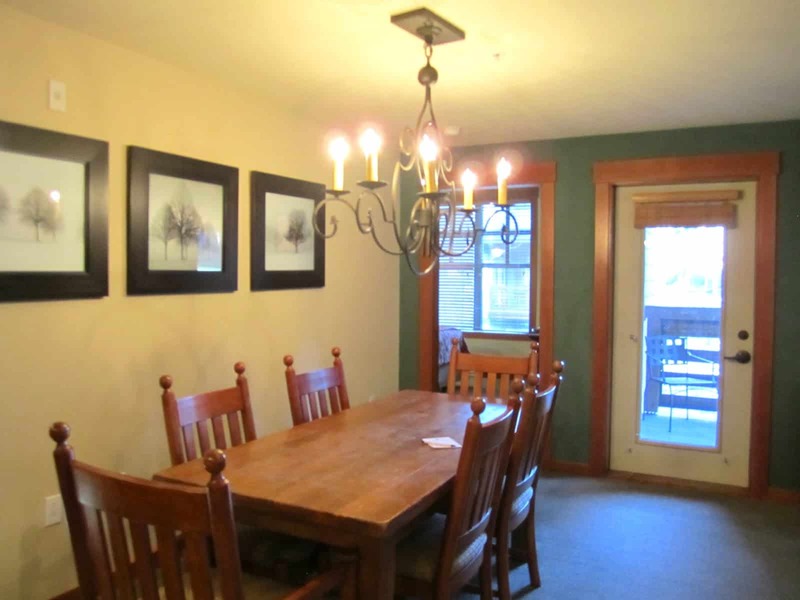 I think you did a great job making it a little more likable…the difference in the dining area, and yikes that couch. Glad the owner let you say goodbye to that!! You've got it looking great! Fantastic job! 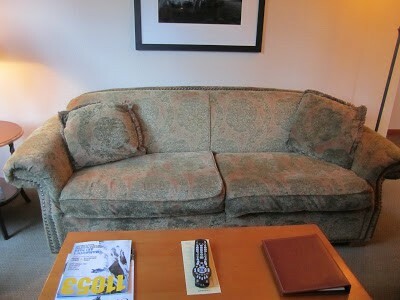 I agree…your Ikea sofa looks like a million bucks. I love the "Mary Ann" touches. I'm still laughing about the frozen tree art! It must have been bad, bad, bad! Love the upgrades you made. Hi Mary Ann! This is a great post since so many people are in homes where they can't change things either because it's a rental or they can't afford to. 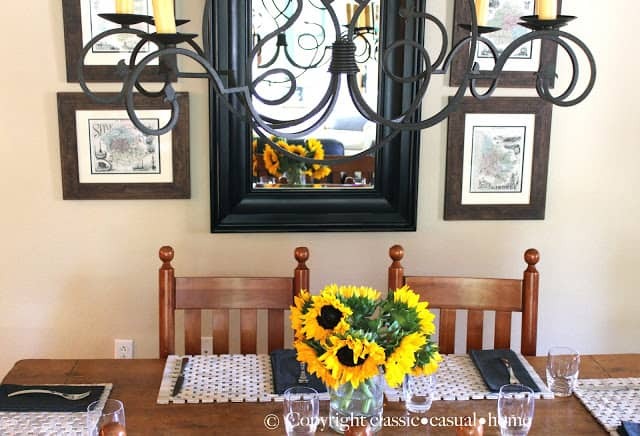 You've shown so many great ideas on how to work with what you have and how to make better – love the new art arrangement in the dining room, and moving that lamp into the kitchen. Such simple ideas that make such a huge difference! Sounds like you had an amazing time at the Mammoth Festival!!! Way to make it your own Mary Ann – our favorite music to play for Sheila at bedtime is the Kenny Loggins "Return to Pooh Corner" CD. It's incredibly soothing and I've given the CD as gifts in the past too to expectant moms. You did a wonderful job of making it your own and turning it into a home!! 🙂 Love the two chairs and couch! You've done a great job of making this place "home"! 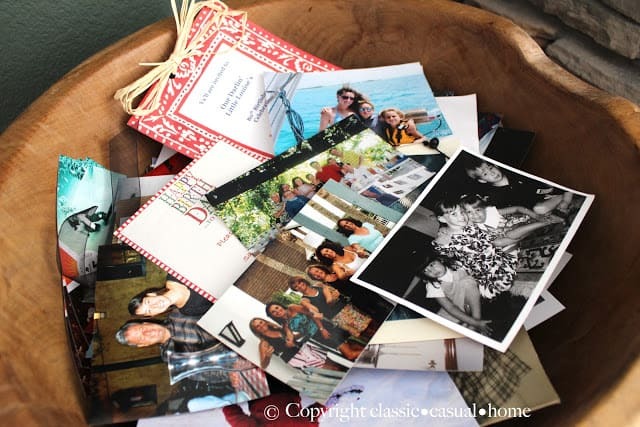 I love the idea of photos and party invitations in the bowl to browse through. Great memories! Good luck on finding your new place at Mammoth. This is probably a great time to be buying! You've transformed the place already and made it lovely and homey!! I'm just catching up with your blog and have to read back over some post I missed – I didn't know you were moving! How exciting! Good luck with your house hunting – hope you find the home of your dreams!! What type of kitchen would you like to see in this house? Love the interiors, they just seem to be really amazing and classy, its great to have apartments. Spectacular pictures! They have a rustic side to them but you definitely can't resist it's charm. Nothing less then a luxurious hotel. WOW !! What a amazing lighting design and wonderful lamps ! 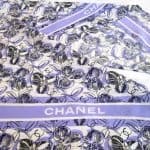 Thanks author for your helpful post and outstanding article. Really I got effective information here about Lighting.